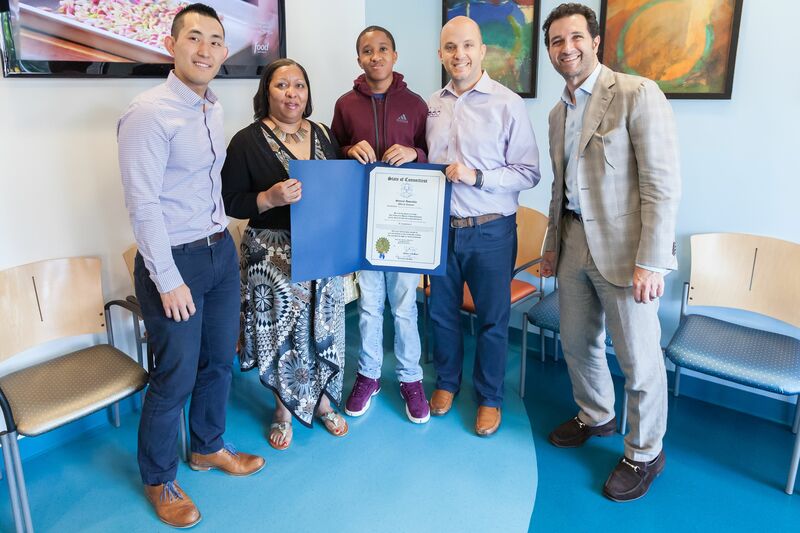 State Representative Michael D’Agostino (D-Hamden) today applauded the efforts of a Fairfield dental practice for coming to the aid of a young Hamden constituent. Fourteen-year-old Conrad Carter was being bullied at school over the appearance of his teeth, affecting the youngster’s self-confidence and self-esteem. In desperate need of orthodontic work, Conrad’s mother, Tara Hughes, reached out to D’Agostino after she learned her dental insurer would not cover the cost for braces. 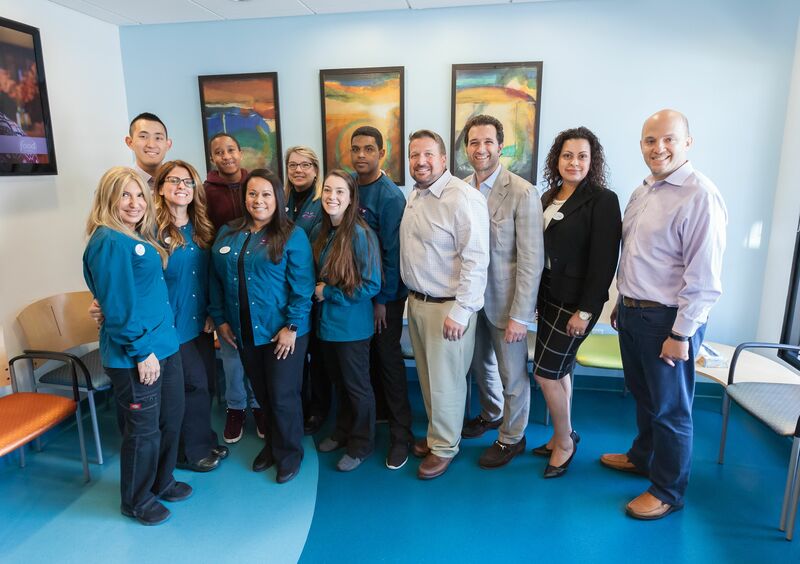 D’Agostino’s office contacted the Connecticut Foundation for Dental Outreach which identified First Impressions Orthodontics as a possible resource. "From the first moment I met Conrad I could tell he was an outstanding young man who was conscious about the appearance of his teeth,” Dr. Rhee said. “We knew that we could help him so we decided to take on his case." “I would like to thank everyone for this once-in-a-lifetime chance for making my dreams come true,” Conrad said. He was fitted for braces in May. Conrad Carter (the patient) second from left in rear, and Rep. Mike D’Agostino, pose with the First Impressions team providing Conrad’s treatment. Left to Right, Dr. Matthew Rhee, Tara Hughes, Conrad Carter, Dr. Greg Mokotoff, Rep. Mike D’Agostino.